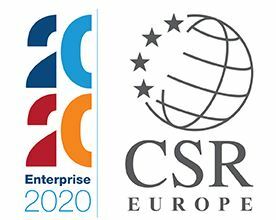 The future of business in Europe is the main topic of the 2015 Enterprise 2020 Summit organised by CSR Europe and taking place on November 16-17,2015 at BOZAR, Brussels. The Summit will be a high-level forum to discuss, debate and inspire the most innovative approaches to Corporate Social Responsibility. The event will bring together more than 500 participants from the business community and will be an unique opportunity to engage and network with CEOs, EU officials and leaders in the sector. A Breakout Session taking place on November 17, 2015 from 15:00 to 17:00. What is the role of business in advancing entrepreneurship education & how the Entrepreneurial Skills Pass (ESP) can contribute to greater impact? How can students benefit from an Entrepreneurial Skills Pass experience? How are private and public sectors building a rock solid platform for young European talents to be successfully employed or start a business?